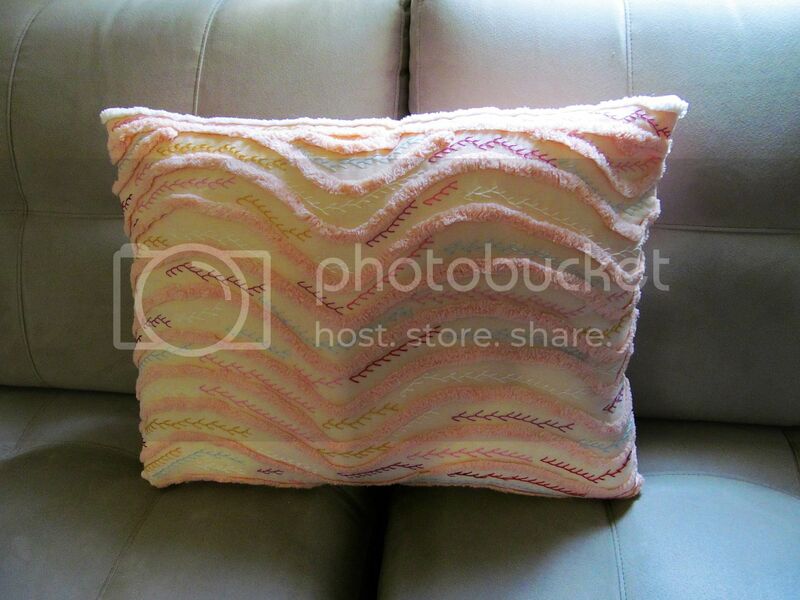 This piece of chenille is in one of my favorite shades of peachy orange, but I wasn't quite sure what to do with it. I've never actually worked with chenille before this piece arrived in an inspiration bundle I bought to challenge myself. 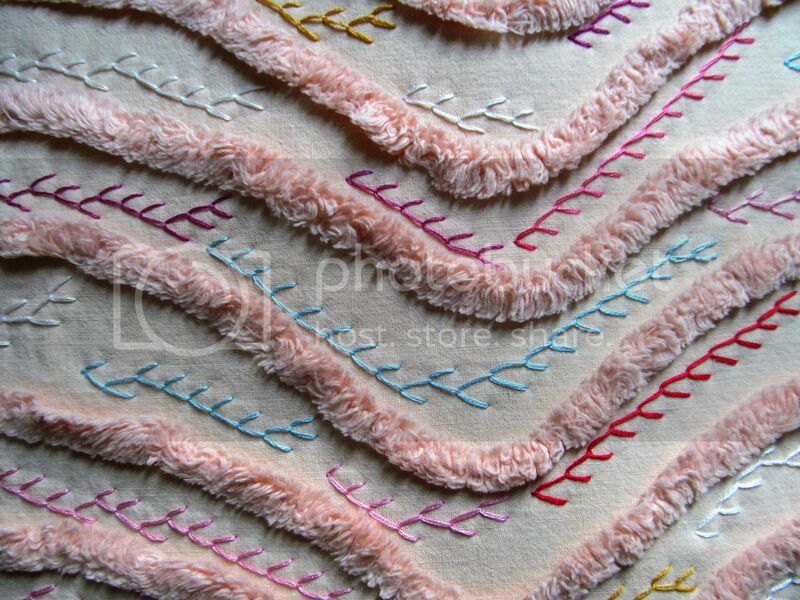 I kept looking at the spaces between the fluff, and thought right out of the blue: why not feather stitch them? So I did, in a very random, free-form way. Lots of feather stitches. It was also great practice for me as my hand-stitching has been a bit sloppy lately. The end result came out better than I expected, and since I've never seen anyone else do this with chenille, I felt quite inventive. Moral of the story: don't be afraid to try something you've never seen done. You may end up with a cool pillow, or maybe something even better. What a lovely cushion. I love the way you take something and change it completely. 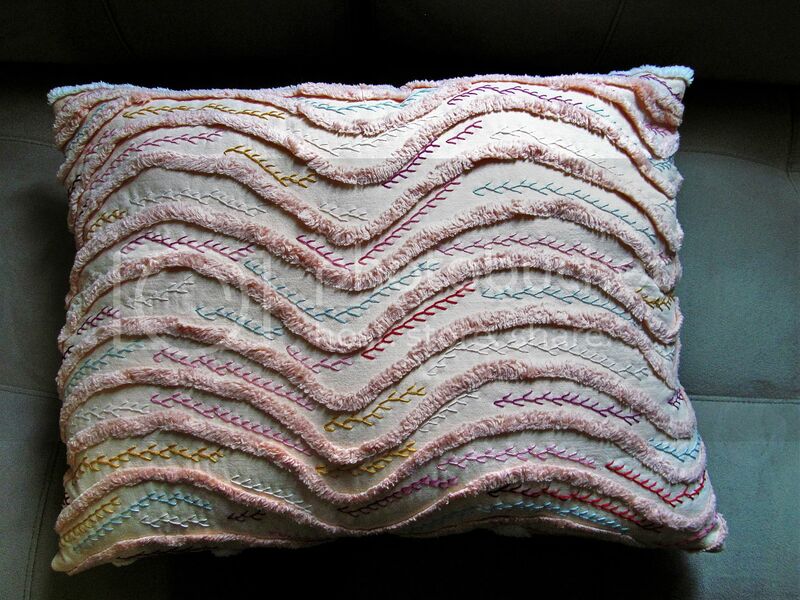 Most people would have just used the chenille as it was but you made it something really special.